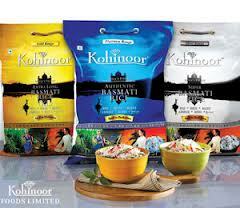 Kohinoor Foods (KFL), one of India’s largest basmati rice and ready-to- eat foodstuff producers, plans to sell 20 per cent stake at Rs 160 a share in its Dubai joint venture, Rich Rice Raisers Factory LLC (RRR), to Al Dahra, an Abu Dhabi-based agri-specific company. KFL has 25 per cent in RRR but it was not clear how many shares it had. Repeated efforts to reach Gurnam Arora, joint managing director of KFL, did not elicit a response. KFL did not divulge the use of sale proceeds, in a statement to the BSE exchange on Friday. RRR was established as a joint venture company in 2000 in Dubai, with Sunny General Trading (SGT) holding 75 per cent. KFL aimed to leverage Sunny’s strong distribution network in the UAE for food products. SGT is a food importer and retailer in the region. After acquisition of KFL’s 20 per cent stake, Al Dahra will have options to buy the remaining stake in RRR from KFL. KFL shares rose 4.1 per cent to Rs 38.5 on Friday. Beside a full-fledged marketing office, RRR has a small rice processing factory in Dubai, which supplies the Kohinoor range of basmati rice and other food products in mainstream stores like Carrefour, Lulu’s Chain and Geant Stores. Kohinoor also caters to the Iranian market from its Dubai base. Al Dahra specialises in agriculture and animal feed production. With global operations, farms and production facilities in the Americas, Europe, Asia and Africa, it is considered a premier supplier of high quality forage, fresh produce, dairy products and commodities to local and regional markets. Whilst the United Arab Emirates remains at the core of its strategy, the company is well positioned to becoming one of the key international players in the agriculture sector and a leader in the food supply chain business. Post acquisition of KFL’s 20% stake, Al Dahra will have options to buy the remaining 4.99% stake in RRR from KFL. Due to the huge on-going infrastructural development and opening up of the food service sector, there is enormous scope for frozen food products. KFL shares rose 4.1% to Rs 38.5 on Friday.